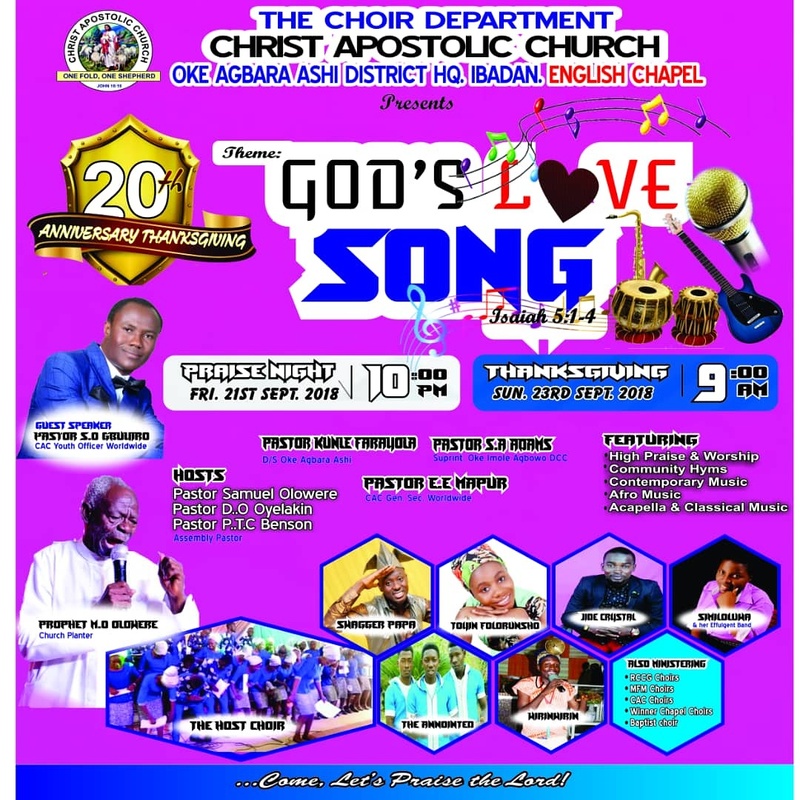 As part of activities to mark her 20th choir anniversary which holds on Sunday September 23rd 2018, Christ Apostolic Church, Oke Agbara Ashi district headquarters, Ibadan will today hold a Praise Night programme. 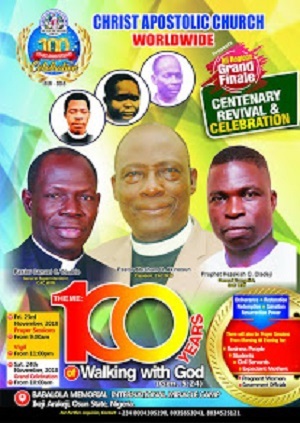 The programme with the theme "God's Love Song" will starts by 10pm. 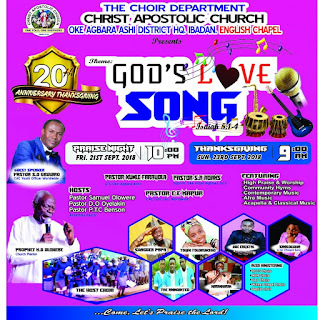 CAC Oke Agbara Ashi district headquarters "Covenant Choir" will minister along with other guest ministers which are Swagger Papa,Toyin Folorunsho (Winners' Chapel),Jide Crystal (LWF CREW), The Anointed (Dominion City), Similoluwa (Effulgent Band) and Winrinwinrin (Ijala Jesu). 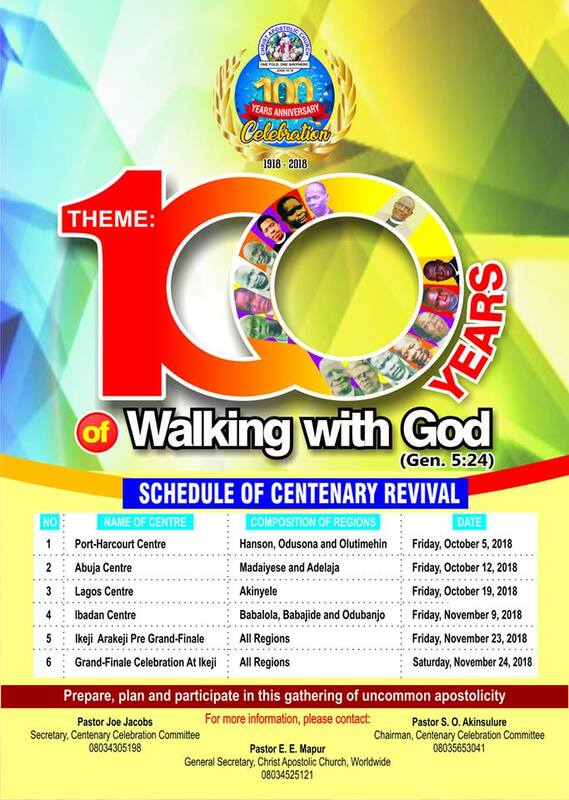 Others are MPPM Voices, Jesus Preachers Ministry (JPM), Glorious Gospel Singers International (GGSI), Gbemisola Latterglorie, Tehilla & Her Crew, Unique Praise Team, RCCG Choirs and CAC Choirs among others.